Has anyone used this powder ( Hybrid 100V ) for .300 win mag? I'm thinking about loading it behind 180 SST Interbonds... Hornady has a 3000 fps load with 180 grainers and 68.2 grains of this powder, this is 2 grains or so under max, per the 8th edition. 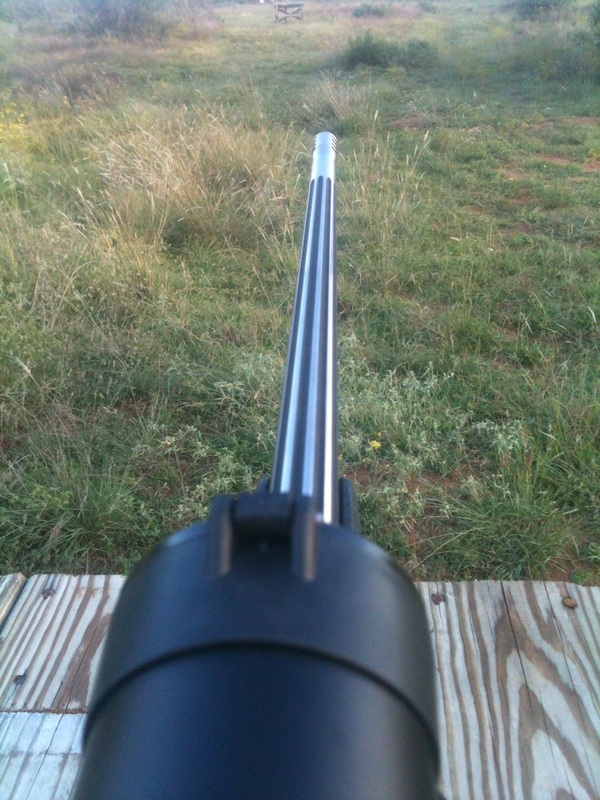 I've been loading with IMR 4831 for sometime now, 180 grain loaded @ 2820 fps... yes it shoots this load very, very well. However the extra 200 -300 fps cant hurt. I'm also planning on working on a load with the same powder with the 208 grain Amax. I dont want to push the IMR any harder than what I'm doing now. So, if you have used this powder please let me know your 2 cents... Pros / Cons. Tumbleweed Custom Rifles rebarreled my Weatherby. 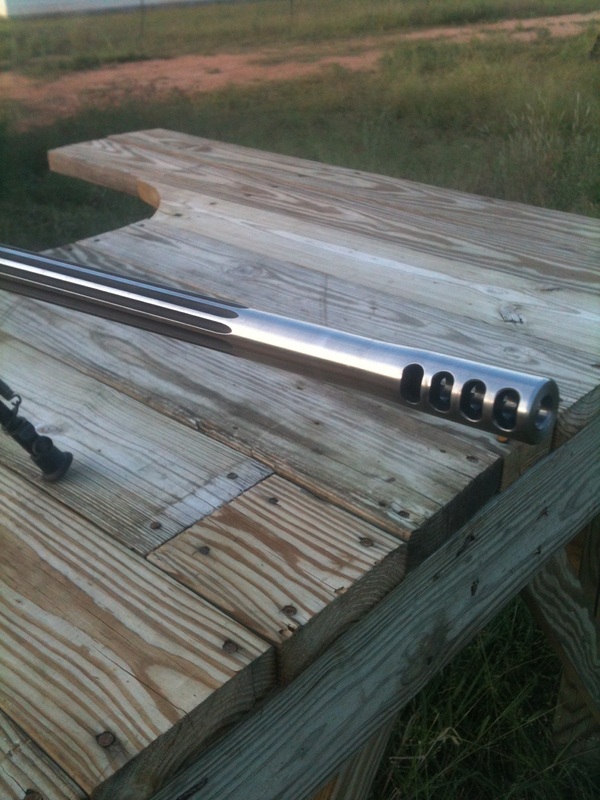 Besides being a great friend and a shooting buddy, Mark does all of my work on my F T/R F -Class guns. Grab a beer from Vince's fridge and sit near the fire..
someone would pipe up on your question.. It wouldn't be me coz I know nothing of 300 Win Mag, not the projectile and nor the powder. Your rig sounds pretty good.. Sub MOA at 1000 yards are absolutely great. Thanks for the welcome gelandangan! Yes, shes a good shooter, just trying to reach the 1500 yard mark without loading above max, if possible. Sub MOA @ 1000 yds ??? And your wanting to try another load why ? 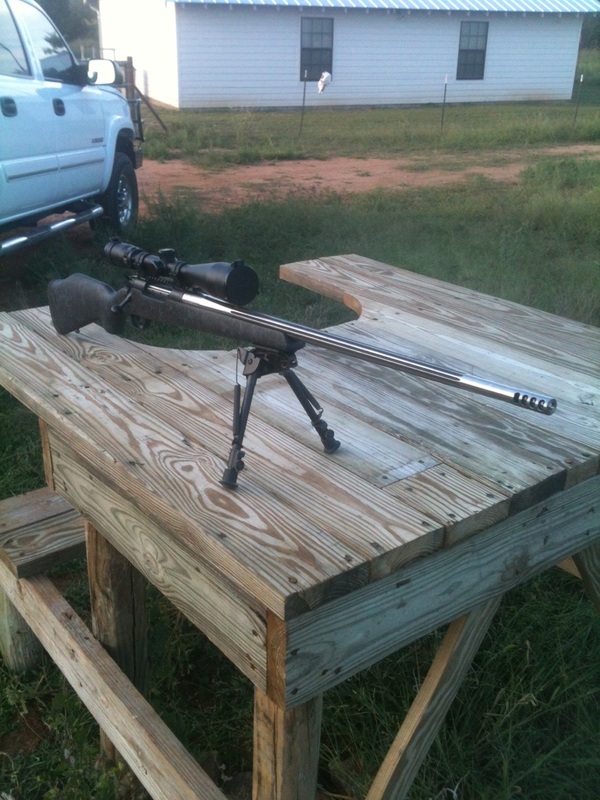 Now I have to go and shoot my old Browning A-Bolt way on down the road as quit at 200 yds with sub MOA ! Never thought about trying to take an animal out to 1500 yds. Am only getting 3,225 fps out of my IMR4350 load behind a Barnes 168gr. TSX Match. How far do I need to hold over to get on target at 1500 yds. ? Do I need a bigger scope ? Not sure I can see the actual target point in the bottom of my Leupold 3X9 at that range with a 200 yd. zero... What ever will I do ??? ( just razzin ya,,, if you can shoot that good I am extremely jealous ). Hodgdon does not show the same 180 gr. bullet but the Sierra they list shows a max load of 67.7 grs to be a max load as well as a compressed load in the 300 Win. Mag. Quite a difference there. Welcome to " The Hunting Nut "
welcome. I too cant help as 200 yrds is a far enough range for this Kiwi. Ive shot animals further but not many or often and much prefer to get under 200. I would hazard a guess that you are talking about punching holes in paper at that range and not animals???? there are guys over here that are taking/talking deer at 1km plus but thats just not my cuppa tea. too many reviables and chance of a wounding and man thats a long way to go BEFORE starting to look for a blood trail. keep looking as Im sure someone here will know what you are asking.nice looking rifle . Elvis, yes we are shooting steel targets and paper at the 1k mark. Sub MOA at 1000 yards is a group under 10" however the x ring is 5"
As for taking game, I would never take game with the chance of just wounding them. I've never pulled the trigger on a deer past 390 yards. When I pull the trigger they need to be D.R.T. And your wanting to try another load why ? Now I have to go and shoot my old Browning A-Bolt way on down the road as quit at 200 yds with sub MOA ! Never thought about trying to take an animal out to 1500 yds. Am only getting 3,225 fps out of my IMR4350 load behind a Barnes 168gr. TSX Match. How far do I need to hold over to get on target at 1500 yds. ? Do I need a bigger scope ? Not sure I can see the actual target point in the bottom of my Leupold 3X9 at that range with a 200 yd. zero... What ever will I do ??? ( just razzin ya,,, if you can shoot that good I am extremely jealous ). Hodgdon does not show the same 180 gr. bullet but the Sierra they list shows a max load of 74.0 grs to be a max load as well as a compressed load in the 300 Win. Mag. Quite a difference there. Welcome to " The Hunting Nut "
I've been shooting competitively F T/R mid range F-Class for years now from 300 to 600 yards. But my question was about the powder, and not my skill level... lol! Hornady's max load for a 180 interbond was 70.2 grians / Hybrid 100V. That's a big differance what Sierra is listing at 3.8 grains over Hornady's max load. Mate, with my eyes, I cant see further than 500 meters,, scope or no scope.. I know the moon, sun and stars are round, thats about it..
My ranges are less than 150 meters. Then again I am a subsonic shooter, so there..
300 Win Mag.. strewth.. blow my shoulder off socket it will..
You just need a good recoil pad, and for shooting a lot of heavy grain bullets time and time again then a good muzzle brake helps me. Welcome Spotter! The difference in recommended charge weights doesn't surprise me since they are using different bullets. There are some good articles in the December 2012 issue of "Handloader" magazine about chamber pressure and bullet stability that you might find helpful. Different bullets' "J factors" call for different powder charges. The "J factor" is the bullet's resistance to being pushed down the bore.